Courtyard gardens are always a challenge. Our clients usually put together a brief that contains a long list of 'wants' and sometimes it is close to impossible to fit all in. Most of the time we have to convince our clients that 'less is more' and to think 'simplicity'. 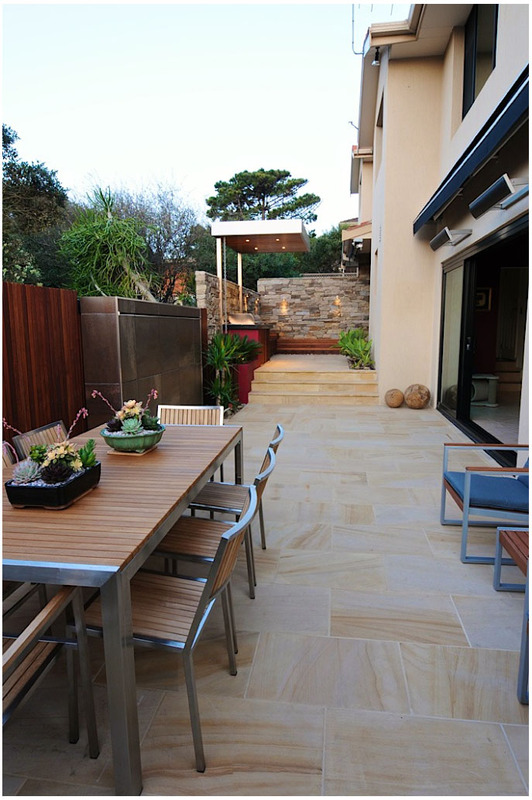 The clients of this landscape makeover were great and were thinking along these lines. They wanted a modern makeover that suited their lifestyle. Living on the beach they wanted a space hey could get out of the sun and wind and relax in their own environment. A landscape that was easy to maintain over time and get better with age and maturity. This makeover was successful and functional hill creating a sense of simplicity and elegance that will stand the test of time.